Join us for a day-long Safety at Sea Seminar designed and conducted by sailors and experts in their fields! The seminar provides both novice and experienced mariners with the information and skills required to sail the Chesapeake Bay or offshore, handle heavy weather, conduct rescue procedures, and much more. This seminar is the most comprehensive near coastal safety at sea program offered in the Hampton Roads area. It is open to all cruising and racing skippers, crews, and their families; recreational boaters; as well as commercial mariners. 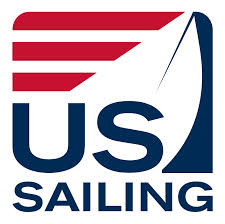 Registrants will earn an official Near Coastal Safety at Sea Certification* from U.S. Sailing! The fee covers lectures, demonstrations, course materials, Near Coastal Safety at Sea Certification, and lunch. * Seminar does not qualify you for the U.S. Sailing onshore racing requirements for the 2018 Newport to Bermuda Race. Captain Erik Knott was awarded his Master’s Certificate of Competence in 1984 and sailed in that position out of northern European ports until 1994 when he joined a nautical training school as senior instructor. There he operated 2 sea-going training vessels, working throughout Europe and into the Mediterranean. In 2003 he moved to the USA and joined Landfall Navigation to run the developing Marine Training Center, gaining various authorities from both state bodies and the USCG. On being granted Citizenship in 2008, he also gained his US master’s license and now has the distinction of being licensed under both US and UK authorities. Leaving Landfall in 2006, Captain Knott joined the safety department of Moran Towing Corporation and is responsible for safety audits and inspections throughout the US. He has recently also been appointed by the Governor of Connecticut as Harbor Master for Stamford Harbor. Holding a full Long Range Radio Operator’s Certificate (GMDSS) and experienced at instructing radar and electronic navigation, he is well placed to help decipher the mysteries of communication at sea and help clarify what ‘gadgets’ can and cannot do and how they can help make leisure time at sea safer and more enjoyable.